I had my second BPP (biophysical profile) ultrasound and doctor visit for the week today. I'm pretty much on a Tuesday/Friday schedule, and I'll post updates if/when I have any info on baby worth sharing. Today was definitely worth documenting! I started with the BPP and, no surprise, little boy was STILL breech. This is so shocking to me! Literally, how do you spend 8 months in there with your head basically ready to hit the escape hatch only to do a 180 and stress your mama out!? Goodness. I asked the doctor afterward at what point they become concerned that the baby will NOT return to the head-down position, and she said every day after 35 weeks it becomes more and more likely they will remain breech. 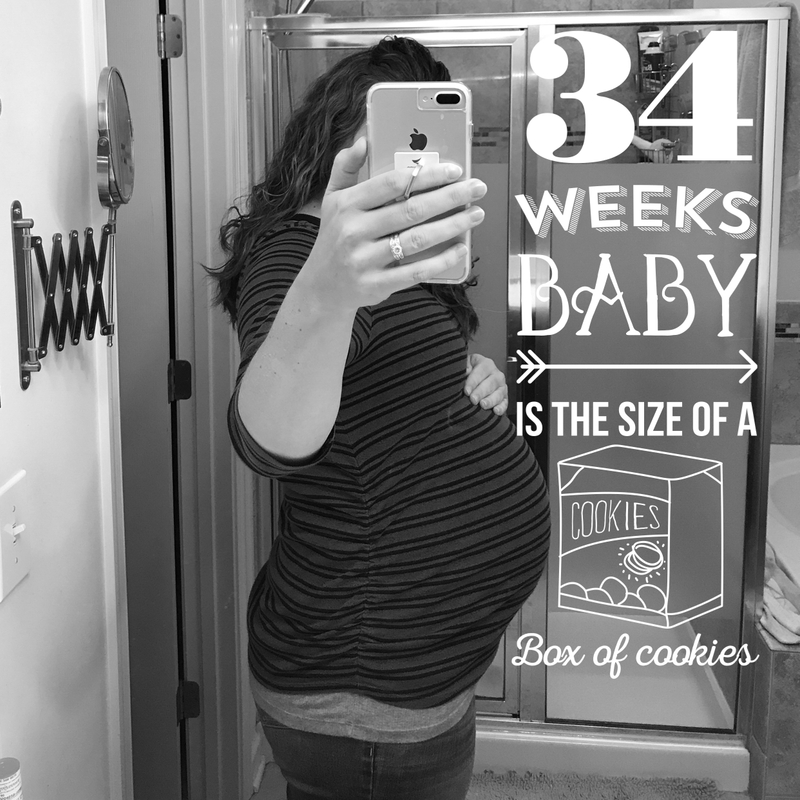 Guess who's 35 weeks on Sunday? Sunday. As in, MOTHER'S DAY, people! I'll be 35 weeks on Sunday -- Mother's Day -- and it's officially the start of the end of my plans for a standard delivery. ALL THREE of my kiddos were inductions at 39 weeks. What is this little guy thinking?? I guess he realizes he's in complete control of the situation and there's literally almost nothing I can do about it. SO, in true mom2lo fashion, I've started researching c-sections to get myself up-to-speed on what to expect should we need to go that route. Ultimately whatever it takes to get this baby here safely is exactly what I want -- whether it adheres to my birth plan or not! There was one other "issue" discovered today. At my BPP on Tuesday, my AFI (amniotic fluid index) was 16. During today's BPP, just 3 days later, it was 10. My doctor was concerned by the decrease, so much so that she wanted me to move next Tuesday's appointment to Monday morning instead. Now, it could be something as simple as dehydration -- perhaps I didn't drink enough water before my appointment this morning compared to Tuesday. Or it could be an issue with the placenta failing, which I've been told all along is a possibility as I get further along into my pregnancy due to the gestational diabetes. Regardless, it got my attention and has me slightly concerned. According to my expert medical googling, the amniotic fluid index is between 5 cm (2 in.) and 24 cm (9.4 in.). So, 10 seems a bit on the low to me. If the fluid is too low, it can affect how the baby grows and can lead to complications during labor and delivery. This is obviously NOT part of my birth plan, either! As you can imagine, I've probably had about 4 gallons of water since returning home from this morning's appointment, and I plan to keep it up throughout the weekend in an effort to raise this baby's fluid level! I would greatly appreciate your thoughts and prayers over the next few days. I'm not as freaked out as I could be, which is a huge blessing in itself! But my heart is definitely a bit heavier after today's appointment than it was beforehand. Also, since I didn't have a picture to share with my 34 Weeks post on Tuesday, I decided to take a quick pic this afternoon to include here.